Updated 5/04/16 - Currently no job openings at The Redwoods International Montessori Preschool in San Ramon, CA. The Redwoods International Montessori Preschool is a sanctuary of child centered calm in the midst of an ever changing, bustling and innovative center of the world. This unique blend of qualities purposefully blended with the Montessori Method has been designed to expand and stimulate children’s minds and provide them with an unparalleled first academic and social school experience. 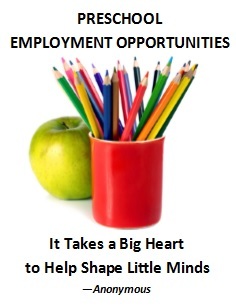 Please send resume and references to info@trimontschools.com. Preschool Details: The Redwoods International Montessori Pre-school & Kindergarten.